Do you learn your storytelling from movies as much as from prose? Have you cut your writing teeth on the wisdom of the hallowed screenwriting gurus (McKee, Field and Goldman)? 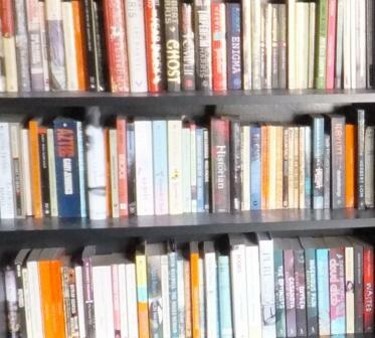 Are you a screenwriter who’s making the switch to novels? If so, you’ll certainly know some great storytelling tricks, but the two disciplines are different. Some movie techniques simply don’t translate to the page. Indeed, if you’re writing your novel as though it’s a movie in your head, your ideas might not work as powerfully as they should. I’ve already discussed a few general points in a previous post – scenes with a lot of characters, short, choppy scenes and point of view. There are other crucial differences between screen and page, so over the next few posts I’m going to look at them in detail. Film is a visual medium. If we’re watching a scene in a movie where two characters were talking, the words they say are not as noticeable as the characters’ expressions, their actions and the way they do things – whether it’s picking a lock, walking home late at night, sharpening a sword or getting progressively and endearingly sozzled. And so the actors’ moves, the camera angles and the emphasis of the lighting are telling the story just as much as any words the characters are uttering. Indeed, you could probably watch a well-made dialogue scene with the sound off and still understand the thrust of it. An argument, a reconciliation, etc. On the page, however, the prose does everything. But what I often find with writers who are tuned to the screen is that they don’t realise how much more work a dialogue scene in prose has to do. They haven’t got actors, or a lighting crew, or a set designer, or a composer who will add the other pieces to take the story forward. They’re good at getting their characters talking, and sounding natural, but their dialogue scenes lack half the information they need to move the story on. They’re imagining it on a screen, and they’re writing what the characters would say and do, but they miss out the impact of the scene’s actions, realisations, changes in mood and plot revelations. All this is part of the story – and it has to come through the characters’ lines and your narration. Banter and quips In a movie, atmospheric natter and irrelevant quips are a great way to create a sense of a mood or character. On the page, this quickly looks aimless. Also in a movie, you can have them breaking into a bank vault while bantering – the story is happening at the same time as the visuals. On the page, we can only see one thing at a time. When using inconsequential chat, social niceties and companionable remarks, keep it concise, or find a way to make it purposeful. Internal reactions The screenplay-tuned writer often doesn’t use internal dialogue, because an actor would add the expressions. Also, most films show a story from a third-person point of view. But in prose you can show what a character thinks and feels. Either you can do this with a close third-person point of view, or a first-person point of view, or by showing reactions through a physical act like clenching a fist. If a character is keeping their reactions hidden from the other characters in the scene, make sure we see they are seething – or celebrating – under the surface. Silence, pauses and non-verbals Remember we see dialogue as well as hear it – don’t forget to include the characters’ reactions and non-verbal responses in your scene. Use your narration to create pauses. Make them sigh, look out of the window. Let them change their expression. Prose is your background music Take charge of the scene’s environment. Create atmosphere through your description of the setting. A dripping tap in a moment of silence might increase a sense of tension. Rain might echo a character’s sadness or make a happy moment seem deliriously unreal. 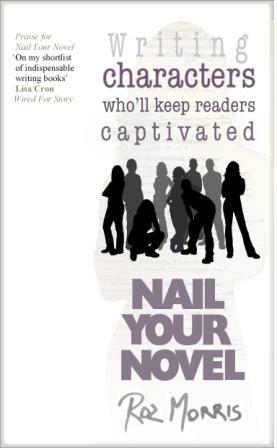 There’s a lot more about writing good dialogue scenes in Writing Characters Who’ll Keep Readers Captivated: Nail Your Novel 2. 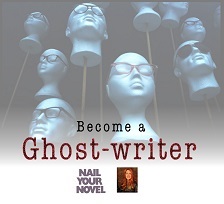 And Nail Your Novel 3 will concentrate on plot – so if that sounds like your cup of tea, sign up for my newsletter to get word as soon as it’s available. Let’s discuss! do you find it tricky to write good dialogue scenes? Do you have any tips that helped you? Of all the scenes we write, dialogue is the most complex and rich. Most writers I know take several passes to get it right. On average, I find there are seven clear steps to nailing a dialogue scene. 1) Get the characters talking This may sound obvious, but it’s an effort to break out of ordinary narration and hop into the characters’ heads. If we’re writing first person, we have to stop sharing the consciousness of their narrator to let the other people come alive. Writing down what each character says, in their own voices, will probably be quite enough to concentrate on in one pass. 2) Visuals Dialogue needs to be more than just a soundscape. Characters act while they speak. They shrug, pull faces, refill the kettle or polish a sword. The scene has to exist visually in the reader’s mind. 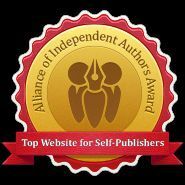 While you’re writing, it’s easy to get tunnelled down one sense – usually aural – and forget that there are others. 3) Change As every scene must move the story on, we hope that each dialogue scene will contain something that matters to the characters. They can’t just natter for nothing. Even if they’re establishing their characteristics, it’s better if the scene does something else too. That could be a plot change or a shift in their relationship – perhaps the scene bonds them more tightly or creates rifts. 4) Reactions When your characters are talking, are they also reacting? If your other scenes show their internal dialogue, does this continue while they’re talking, or has this evaporated because you were concentrating on making them vocalise? 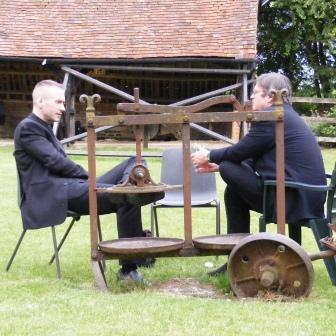 5) Subtext The scene might have more heft than a simple exchange of information. It might be a battle to get the upper hand. One character might be telling the other that he loves her, or to stop trying to find out what happened to the missing neighbour. The scene might have a layer that only one group of readers will understand: for instance, if the novel might be read by both adults and children, it may contain meanings that will only make sense to older readers. 6) Language Depending on your genre, the language might add a poetic dimension, reinforce your themes, reflect the characters’ different backgrounds and outlooks. Pathetic fallacy or your descriptions may add colour, feeding the texture and atmosphere of the novel. 7) Declutter Dialogue scenes are meant to run swiftly in the reader’s mind. Although we need context, action and description, we don’t need to add every breath and eyeblink. It may not matter that the character pours a glass of water while he lets out a sigh. You may have been too obvious with your allusions; the reader may be able to fill more blanks than you think. Let the scene sit for a few days, then go back with a fresh perspective and take out the clutter. Do you have any steps to add? (Apart from a complete phase of changing your mind – which for me happens to me ad infinitum when I’m letting the characters talk to each other.) Share in the comments! 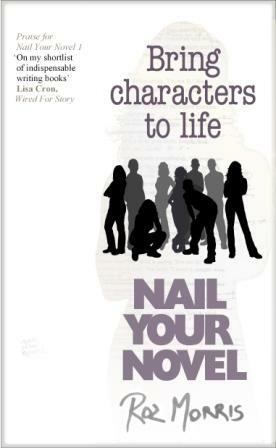 If you found this post useful, there’s an entire section on dialogue in Nail Your Novel: Bring Characters To Life. Weightless editions are ready right now, twinkling on the servers of Amazon.com, Amazon.co.uk, Smashwords and Kobo. 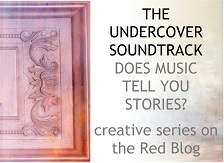 GIVEAWAY Andrew Blackman is offering a signed copy of his novel A Virtual Love on The Undercover Soundtrack. For a chance to win, leave a comment on the post or share it on Twitter, Facebook, G+ or anywhere else (and don’t forget to leave a note saying where you shared it).